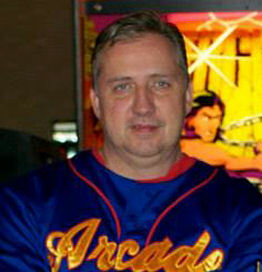 Tim Peterson, also known as Mr. Arcade Repair Tips, is a founder / staff member of the Arcade Repair Tips website and has over 15 years of experience as a professional coin-operated machine technician. Tim (along with co-founder Jonathan Leung) launched Arcade Repair Tips in 2008 as a resource to provide general information on arcade repair to the public. Since that time, they have produced over 50 videos as part of their Arcade Repair Tips Video Series and answered hundreds of emails on their Question & Answer Podcast. They have also been featured in numerous media outlets including Replay Magazine and the Geeks On The Mic podcast. With their keep it simple approach and positive attitude, Arcade Repair Tips gives even the most confused beginner the skills and the confidence they need to do their own repairs. Just remember their motto: when you fix the game, you play the game!